Stop we are going to reflect, go to page 10 of the student text and complete the self assignment . Warm up: Draw and label a carbon atom. Warm up: What is a hunter-gather? ​Activity- You are an early human-create your cave art. Tell your story. Warm up: What is the relationship between atoms and the periodic table of elements? Learning Target:I can recognize that all matter is made up of atoms. Also atoms of the same element are all alike, but are different from the atoms of other elements. ​Ticket out: on your sticky note answer the following question: How are elements alike and how are they difference? Warm up: What is the relationship between hunters/gathers and nomads? Learning Target:Explain why the Fertile Crescent is the cradle of Civilization. Warm up: Atom review questions on Canvas, complete and submit. Essential Question: How did civilizations develop? Learning Target: I can explain why the Fertile Crescent is the cradle of civilization. pages: 55, 59, 61, 74, and 77. Look at the doted area on the map, this is the location of the Fertile Crescent. Discuss-Why is the Fertile Crescent called the cradle of civilization? Warm up: Go back to school net and correct the questions you missed and record the correct statement on your warm up page. Remember warm ups are due tomorrow. Essential Question:Why does matter, matter? Learning target: I can describe the states of matter. I will explain what they are and how/why they are different. 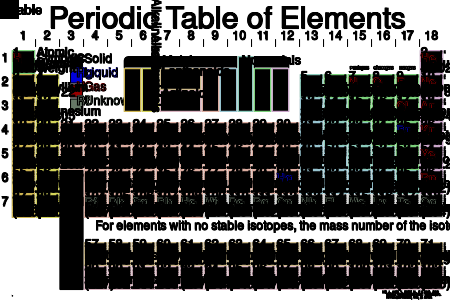 Using the periodic table are all atoms of elements in the same state? So what are the states of matter and how/why are they different? After watching the Science Jam, take the quiz. Raise your hand when you are finished. ​Complete the two fold ables, from science doodle, use them and what you have learned today to answer the ticket out. Warm up:Name the two river that are located in the heart of the Fertile Crescent? Why are they important? 2. What challenged, changed, or confirmed what I already knew? Ticket out: Why is the Fertile Crescent called the cradle of civilization. Warm up: List the three main states of matter, and explain the relationship between the states and movement of molecules. Complete a 3, 2, 1 (3 things that I learned, 2 things that I knew, and 1 question that I still have. Ticket out: Your ticket out is to illustrate and define the three states of matter. Learning Target:Explain why the Fertile Crescent is the cradle of Civilization and what role water play in the forming of the civilization. Today we will continue to learn about one of the earliest civilizations. Graphic organizer-cause and effect-the relationship between each river valley and the civilization that developed around it. Create a chart that uses the sign post: What surprised me, What challenged, changed or confirmed what I already knew? Define the following terms: silt, irrigation, canals, surplus, and division of labor. Ticket out: What role did water, and control of it, play in the development of Mesopotamian?